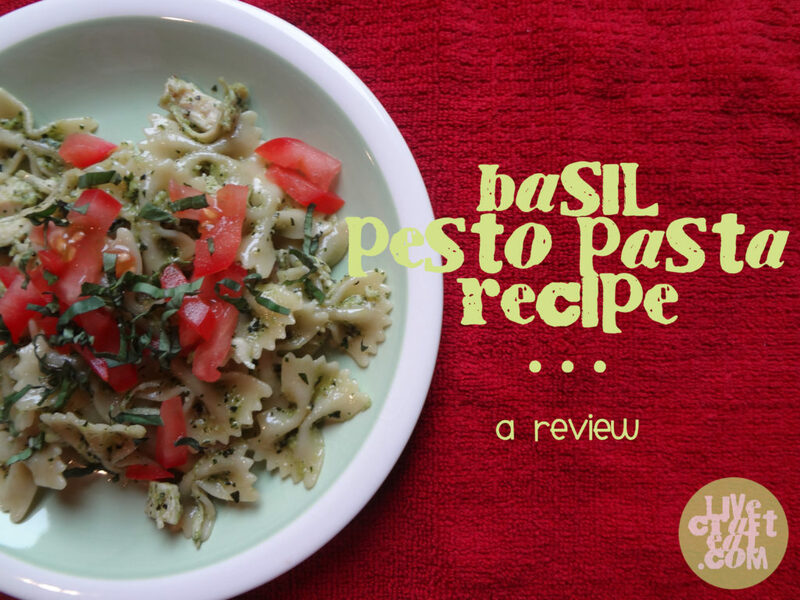 this past week i was looking through our best bites’ website and came across their recipe for basil pesto. 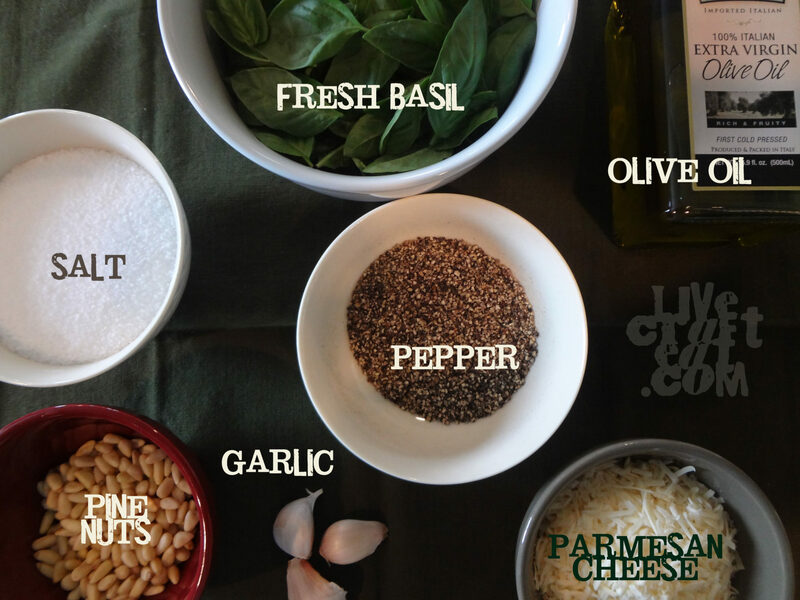 i love pesto and so does my husband, but i’ve never attempted to make it from scratch before. since we’ve been growing basil in our garden this year and it really did need to be picked, i figured this would be the perfect time to give it a try. it was super easy to make. you just need to combine everything, except the evoo, in a food processor. as the food processor is running, pour in the olive oil through the top until you get a smooth consistency. stir it in with some cooked pasta and add some leftover chicken, tomatoes, and a little more fresh basil and you’ve got a dinner that everyone will love! my favorite thing about this pesto is that it is garlicky. when you first taste the sauce, all you’ll think is wow, this is gooood! there really are no other words. i promise that you will eat seconds. and probably thirds. another thing i love about pesto is that you can freeze any leftover sauce in ice cube trays and save them for another day when you’re craving it or need something fast and easy to eat. cook up some pasta and you’ve got a great lunch. i’ve included the recipe below or you can also find it at ourbestbites.com. 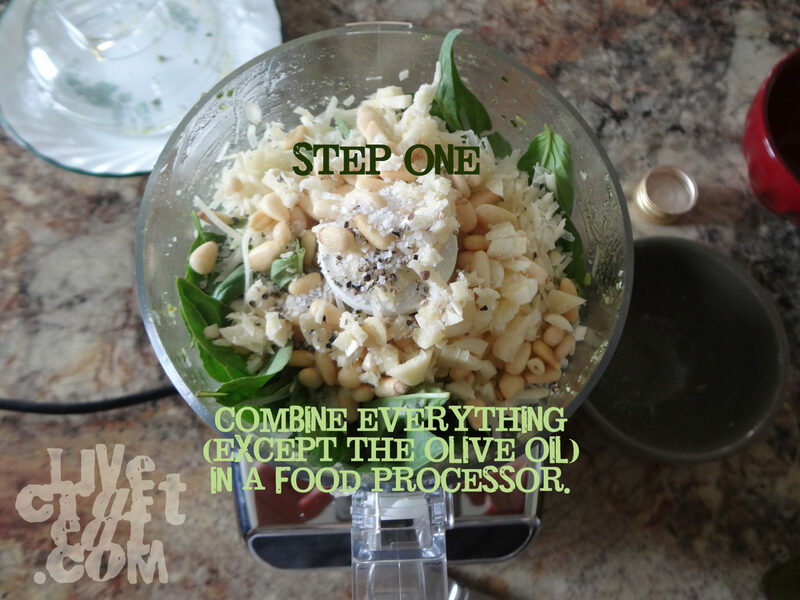 place everything but olive oil in a food processor. give it a few pulses to get things going. 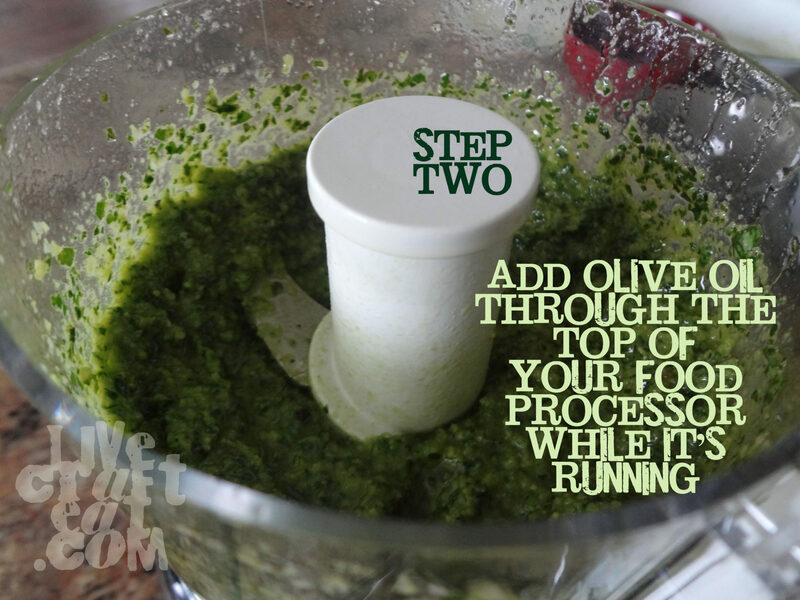 slowly pour in olive oil while the food processor is running until you get a smooth consistency. mix in with your cooked, drained pasta. let sit a few minutes so the sauce can absorb into the pasta. 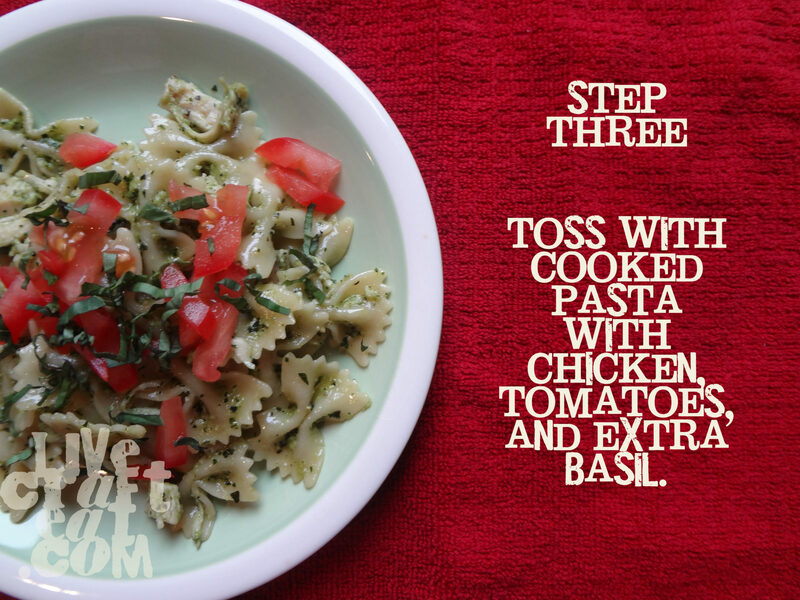 optional: serve with chopped tomatoes, cooked chicken, and extra basil. they say to toast the pine nuts, but i forgot to. it still turned out great! Mmmm. Looks so good. I think a food processor is on my list of things I want for Christmas. This looks delicious!